Despite nationwide protests and several major Republican figures speaking out against President Trump’s controversial travel ban, a new poll has revealed that more Americans actually support the ban than oppose it. 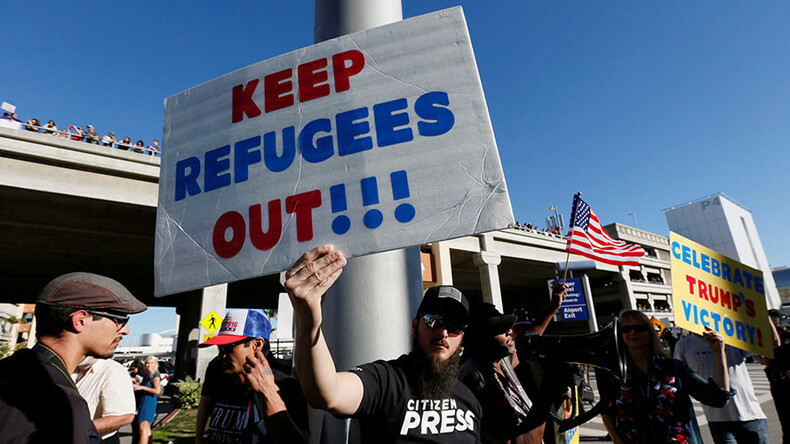 A Reuters/Ipsos opinion poll released on Tuesday found that 49 percent of Americans approved of the executive order to ban citizens from seven mostly Muslim countries from entering the US. Forty-one percent disapproved. 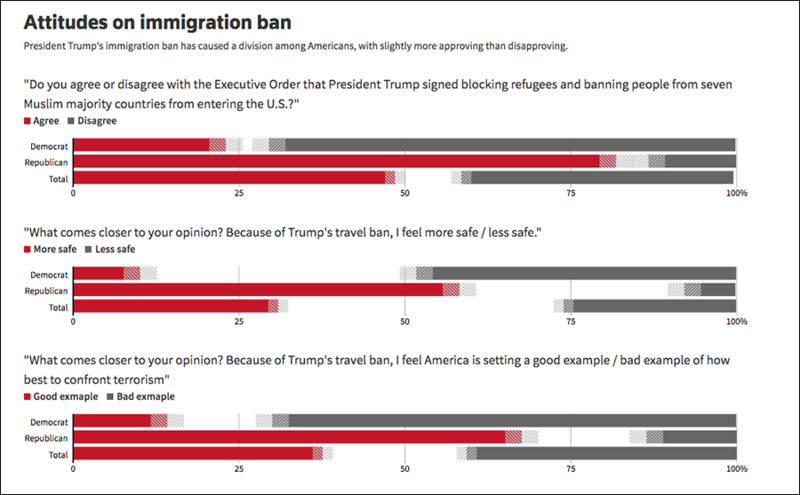 Republicans were more likely to say the ban made them feel safer, at 58 percent, while only 10 percent of Democrats felt the same. When asked whether the US should welcome Christian refugees, but not Muslim ones, 72 percent of Democrats disagreed, compared to 45 percent of Republicans. And finally, 68 percent of Republicans agreed that the travel ban is setting a “good example” of how to confront terrorism, while 70 percent of Democrats said it’s a bad example. The poll comes amid worldwide protests of Trump’s executive order, which suspends the admission of citizens from Iran, Iraq, Libya, Somalia, Sudan, Syria, and Yemen for 120 days. UN human rights experts said on Wednesday that the ban contravenes international law and could have devastating effects for those at risk of facing inhumane treatment in their home countries. "Such an order is clearly discriminatory based on one’s nationality and leads to increased stigmatization of Muslim communities," the experts said in a statement, as quoted by Reuters. 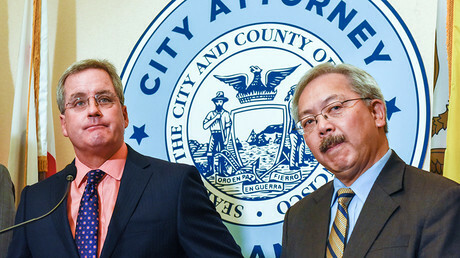 "Recent US policy on immigration also risks people being returned, without proper individual assessments and asylum procedures, to places in which they risk being subjected to torture and other cruel, inhuman or degrading treatment, in direct contravention of international humanitarian and human rights laws which uphold the principle of non-refoulement," they added. The ban has also been widely criticized by Democrats, as well as several Republicans, including senators John McCain (AZ) and Lindsey Graham (SC). “This executive order sends a signal, intended or not, that America does not want Muslims coming into our country,” the senators said in a joint statement. Meanwhile, Trump has denied allegations that the ban targets Muslims because of their faith, but is rather intended to keep people out of the US from countries afflicted by terrorism who could pose a threat. The Reuters/Ispos poll, which was conducted online on January 30-31, surveyed 1,201 people from all 50 states, including 453 Democrats and 478 Republicans. It has a margin of error of three percentage points for the entire sample and five percentage points for Democrats and Republicans.